I was recently invited to an event at the newly built Concrete Beach Brewery in Wynwood (Miami), Florida. Well, it happened yesterday, but I wasn't able to make the 3-6 event time. Coincidentally, Ed Roberts passed along two sample bottles of their beers just a few days ago: Stiltsville Pilsner and Rica Wheat India Pale Ale. So I figured it would be as good a time as any to see what this brewery is making. The label depicts a house on stilts, thus the name. It also says that it was brewed by Concrete Beach Brewery in Boston. I was told that's because this brewery is owned by Boston Beer and because it is a sample of what's to be made in Miami. Both bottles also say "Beauty is overwhelming. Enjoy in moderation." I poured the beer into my Concrete Beach pint glass. Light grain and lemon sharpness in the aroma. Nicely bitter lemony flavors to start. Some fruity apple also makes an appearance. Medium body. Simple but nice flavors. I personally like my pilsners a little crisper and sharper with more bitterness on the finish, but this was definitely enjoyable. 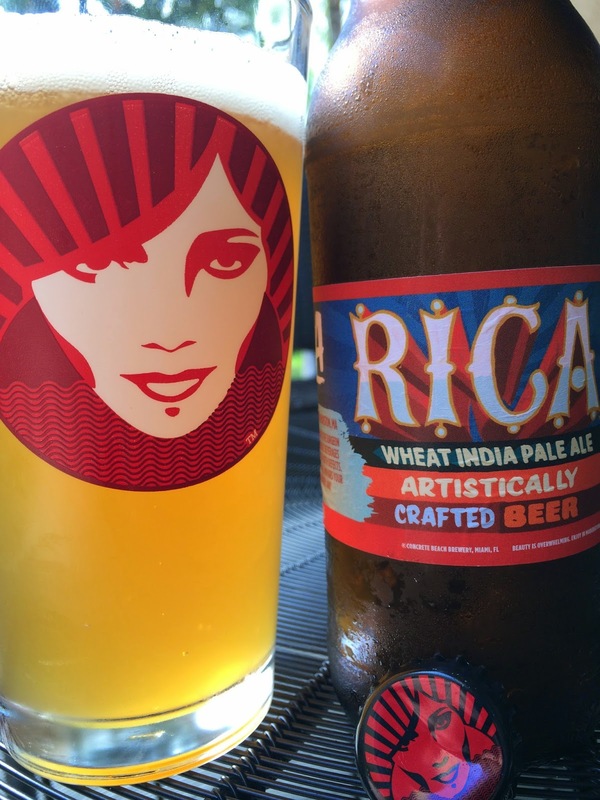 Rica is named for the cultural richness of Miami. Also a sample bottle brewed in Boston. 6.5% alcohol. 60 IBU. Big wheat aroma with lemony citrus showing through. The flavors are full of lemon, but it's more of a pine sol type flavor than citrus and very astringent. And the alcohol is bringing that out in a menthol cleansing type of way. My nose is clear now! The finish is very dry. Not really my kind of IPA. No fruity, tropical, pine, citrus, hoppy, dank, fresh, spicy, etc, flavors. 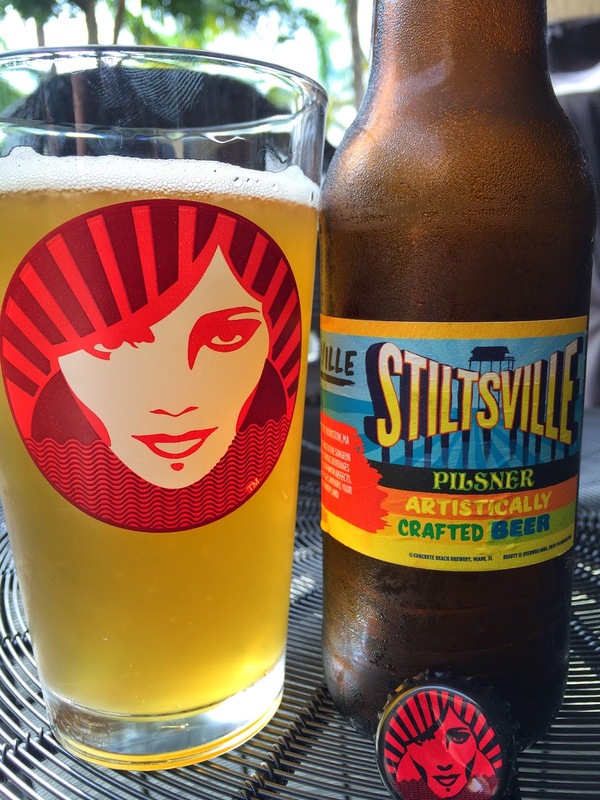 I much preferred Stiltsville Pilsner. Anyway, the brewery will be opening soon, and I can't wait to check out the brewery itself and try the beers being brewed locally. And of course I want to meet the team and see what their plans are for the coming months and year. Good luck, Concrete Beach Brewery!